I’m so sorry that I haven’t had time to post anything in a while, but I have been crazy busy the past couple of weeks. I am starting Final Exams tomorrow so wish me luck (more specifically wish the kids luck as they take their finals). There are several things that you have missed hearing about. The first one is my Christmas Lecture this past week. My good friend and fellow teacher Angela Lu and I gave a presentation to our students on the History and Origins of Christmas. It was so exciting to see the turn out from our students. I did bribe my kids by offering them extra credit on their final if they attended the lecture, but I’d like to think they got something out of it once they showed up. I was really nervous to see that the room was not only full but there were students that had to pull up chairs in the back row because every seat was full (the room seated 120 btw). We read two stories “The Night Before Christmas” and the original Christmas story about JC from the book of Luke. It was a really cool opportunity to share some of my family traditions which include a big Christmas breakfast with baked french toast (I use the Wooded Glen recipe) and putting clues on my presents (taken from Cindy Murphy). Angela brought a small Christmas tree and we had the kids decorate it on stage which was so much fun, especially for kids that have never celebrated Christmas before. I mentioned that the wise men from the east could maybe have been from China and the kids thought that was really cool. 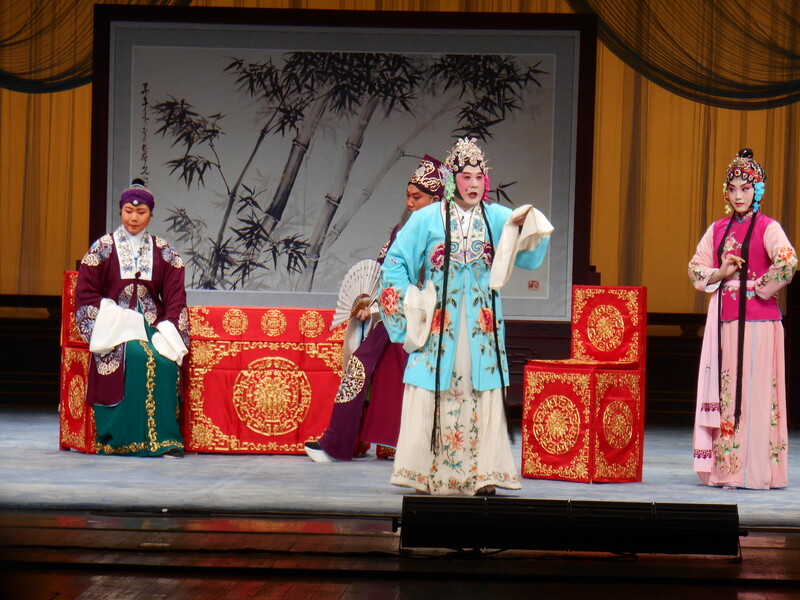 Also this week I had the opportunity to go to a theater in town and experienced Beijing style Opera with some Chinese friends. It was… interesting. I would definitely recommend that you try it if you are ever in China, but whether or not you will enjoy the experience is up for debate. The singing and musical accompaniment was not anything that sounded like the western definition of music. 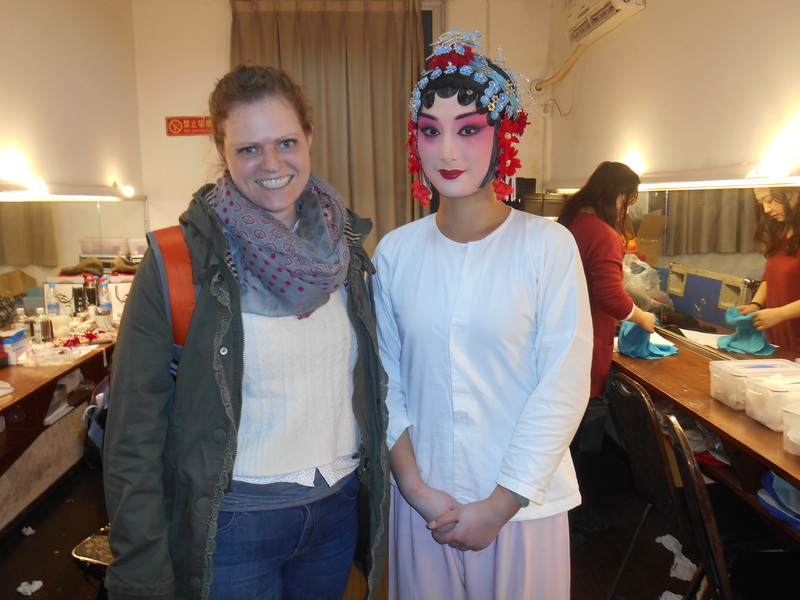 My chinese friends Edward and Johnny snuck me backstage after the show to get a picture with the cast. I don’t think we were really supposed to be there, but it’s China and rules about that sort of thing aren’t as strict as some places might be. Plus I can always just give people a blank stare and pretend like I don’t know any better, afterall I’m a Wàiguó rén and don’t know the difference. I was invited to a Chinese study group of sorts off campus and had the opportunity to meet some really cool brothers and sisters there, most of whom spoke English well. It was really cool to meet some older Chinese friends who are not just students. I am making it my mission this semester to learn Chinese. It is not going well. For example I went to make photo copies tonight at the print shop. They don’t speak a word of English so it’s always interesting to interact with them. 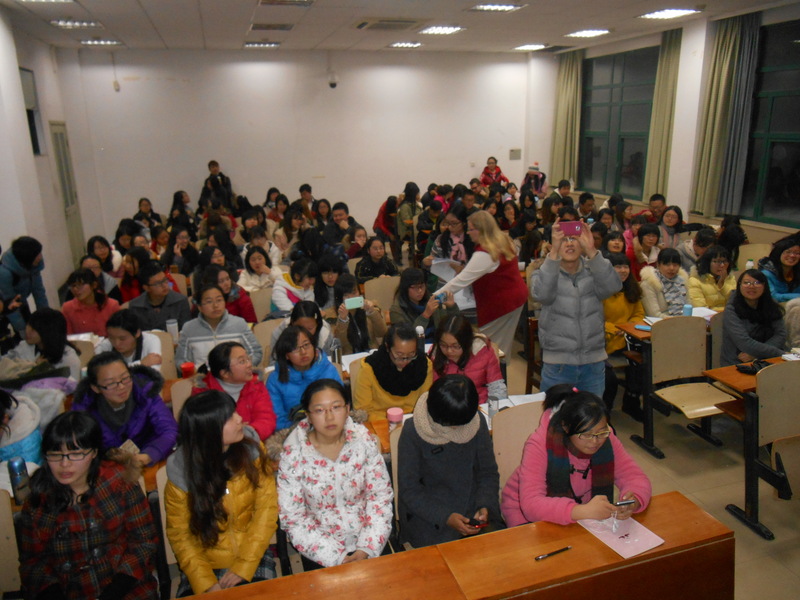 I began by trying to tell them the number of copies I needed first in English then with sign language, then by counting in my head trying to find the chinese numbers that I was looking for. Ended up I had to write the number on my hand. I was able to ask the price for the copies after they were printed which is a good start I guess, but then they just laughed and said something about a Tīng bù dǒng and Yīngwén. (and no, I’m not going to tell you what it means, you’ll have to go to google translate for that…lol). I had a cookie party as well this week with my American friends which turned into a bunch of us sitting around singing Christmas Carols and eating lots of cookies and milk. It was great. Next Post It’s Almost Christmas!! !